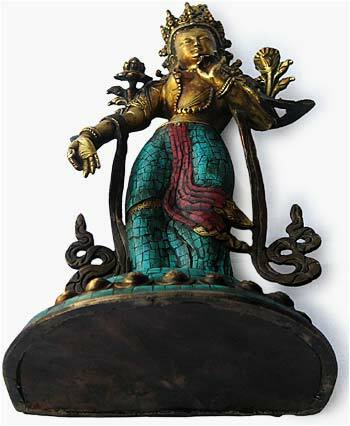 Tara the goddess of compassion, and the primary female bodhisattva in Tibetan Buddhism has 21 forms each associated with a different color and range of quintessential attributes. 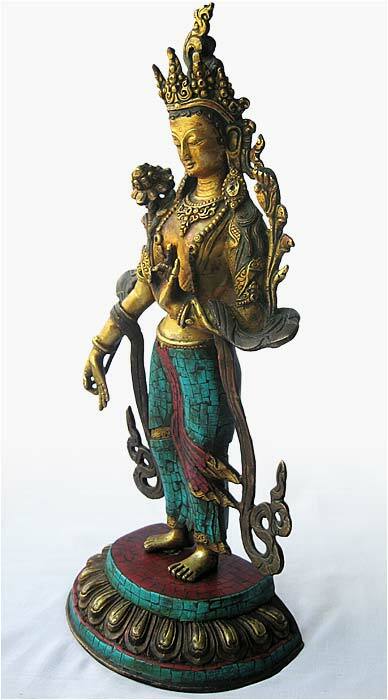 This most beautiful and unusual Tara displays a unique precious coral and turquoise mosaic that textures her vastra and adds colorful resonance to the lotus she stands upon. 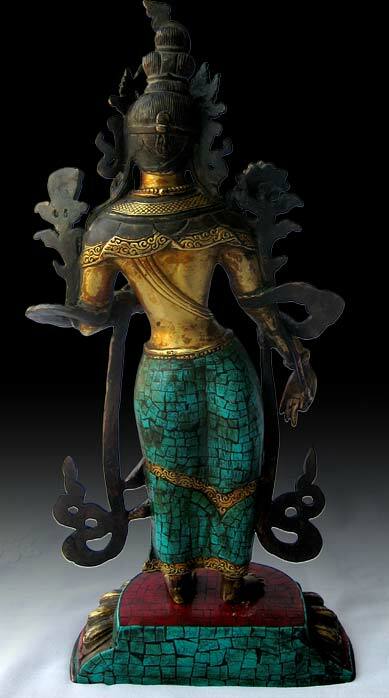 Standing in tribhanga this rare Tara is expressed in amazing detail. An ornate highly detailed sheath drapes gently across her back. The diadem that crowns her head, the mantel which graces her neck and the artful bangles that embellish her arms are intricately wrought. 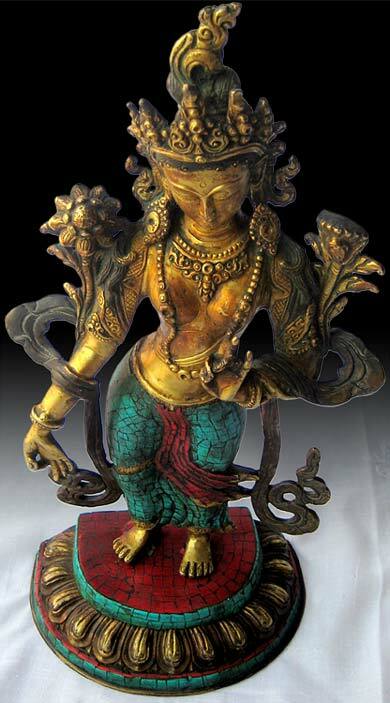 Her body is youthful and her countenance radiates deep luminosity, the inner peace and compassion that is Tara's quintessence. Her left hand is gracefully arched in vitarka mudra, and her right hand in varada mudra. 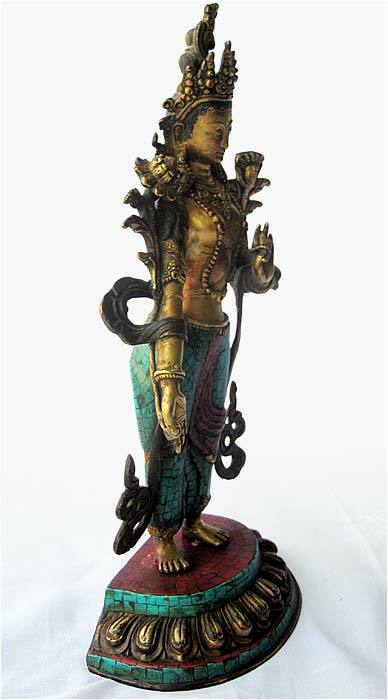 The two lotuses that frame this bodhisattva, are highly detailed and in full bloom.This antique gilded bronze Tara is a rare find. Exceptional artistry expressed as beauty, strength and grace.